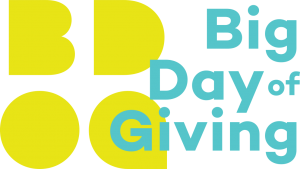 If you haven’t heard of Big Day of Giving, you have either been living under a rock, are not from Northern California, or not on social media at all in the entire month of April! For those that don’t know about it or don’t know the details, Big Day of Giving is a yearly event in the beginning of May and this year was held on May 4th. It is a program in the greater Sacramento region created to help spread the word of philanthropy. It is a twenty-four hour challenge for almost 600 non-profits to get as many online donations as possible. This big push for one full day of donating helps non-profits spread the word of the good work they do. The event helps to draw attention to all the amazing non-profits in our region. The goal is to bring donors and non-profits together for an experience to remember forever, or at least until the next year. Along with the many donations from donors, there are also prizes given from sponsors throughout the day to help build momentum. Each hour a prize of $1,000 is given to the non-profit that got the most donations during that hour. There is a $1,000 donor prize each hour that goes to the non-profit that has the most unique donors during that hour. A booster prize is one that is a randomly selected donation from that hour adding anywhere from $250 to $1,000 to boost that donation. And lastly the blast off booster prize in which one of the donations made within the first 10 minutes of the event starting at midnight will get boosted by $1,000. This year was the 4th year of the event and again it was a HUGE success! Raising nearly $7,200,000 from thousands of donors beating last years totals by nearly $100,000. This years donations brought the total to more than $23,000,000 in donations. 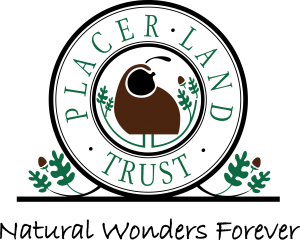 The leader of the pack for the past three years is non other than one of our favorite printing partners Placer Land Trust. They have raised the most money during this event for the last three years and almost were the leader the first year but came in at a close second. We are happy to partner with them all year long for all their print and marketing needs! Although a large portion of the non-profits were from the immediate Sacramento region there was a great representation from the Placer County region as well and we are happy to call many of them our partners. We look forward to this event every year, helping out great non-profits exceed their donation goals. Every one of the non-profits are winners and we would like to congratulate them all!